The Law Society of Northern Ireland has said that today’s private members bill on the cost of car insurance in Northern Ireland underscores the need for a wider and inclusive debate which considers all of the reasons for the high cost of car insurance in Northern Ireland. “The objective of all parties concerned in this debate should be to put the interests of the consumer first. In doing so we need to focus on the root causes of the problem which have contributed to the high cost of car insurance rather than singling out one issue.The Law Society has long held this view and our position has been supported by the OFT’s recent Call for Evidence on the Cost of Motor Insurance (which included specific consideration of Northern Ireland) which indicates that there a number of factors which require detailed consideration. These included the payment of referral fees, consumer behaviour, road safety, the identification of fraudulent claims, the cost of claims and the degree of competition in the local insurance market”. the system for the calculation of legal costs is open and transparent and incentivises the early resolution of a claim. Unlike England & Wales where lawyers can obtain up to 100% increase on their fees, success fees are not paid in Northern Ireland. This ensures that costs are kept to a minimum, with legal costs in Northern Ireland being consistently lower than those payable in England & Wales. only effect those who have suffered grave or serious injury, who are few in number, while leaving unaffected those suffering less significant injuries. 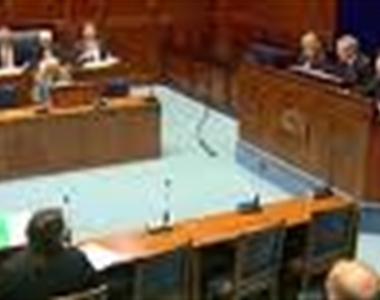 The proposals for an increase in the jurisdiction of the County Court from £15,000 to £30,000 are at an advanced stage. Legal costs in the County Court are already capped and they are based on a published fixed tiered scale. 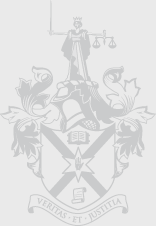 The enhanced jurisdiction of the County Court will result in only a small number of personal injury cases being dealt with by the High Court. The Law Society believes that it is important that legal claims are dealt with at the correct level of court. Preparing a claim for compensation following an accident can be a complicated exercise. It requires a complex assessment of facts against the legal framework and the detailed assessment of medical injuries both current and future arising from the accident. If the protections afforded by the legal and court processes are not present, the vulnerable may be taken advantage of, with the result that they do not receive the proper amount of compensation to which they are rightfully entitled. The Law Society believes that requiring claimants to bring their claims for compensation in a court in which the cost of legal representation is not recoverable (such as the Small Claims Court) is not in the public interest”. greater provision for the sharing of information relating to fraudulent and vexatious litigants. This should ensure fraudsters are identified at the earliest possible stage before they are able to pursue a claim. The Law Society considers that further research into all the factors which are driving up the cost of motor insurance is required including the pooling of data collated by the insurance industry, the Government and the Courts should ensure that a realistic assessment of the contributing factors can be made.